Back in Detroit when the sky was falling, people realized that rookie Ja’Whaun Bentley was wearing the "green dot" on the back of his helmet. When a player wears a green dot on his helmet, it means that he is the one communicating the plays from the sideline to the guys on the field. Dont'a Hightower, who played mostly off the edge in addition to linebacker in the first two games is usually the on-field communicator, but appeared to have some struggles early on. 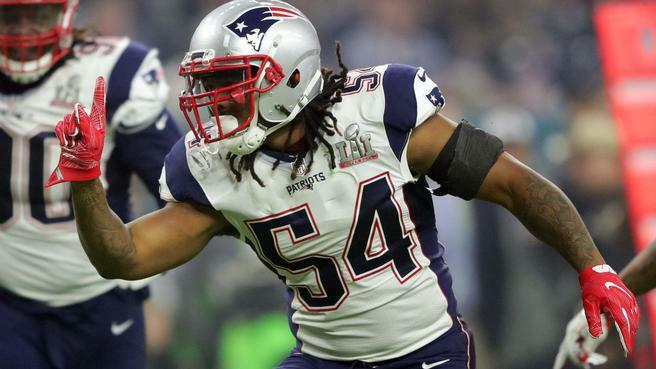 After Bentley fell to IR, Hightower resumed his leadership on the field and solely played in the linebacker spot. It is also safe to say that this move might've had something to do with the Pats defense holding the 3-0 Dolphins to just seven points. With comments like this, I think it proves that the players understand when things are going wrong and are actively working to fix them. It is a long season and with all these new faces on defense, it's going to take leaders like Hightower to make sure everyone does their assigned tasks and to make sure the defense continues to play at a high level.